katilda.com: A new iPhone case every month? I love small businesses and I love cool ideas amen. Note: I'm not getting paid for this shout out. I just think it's a nifty thing. $10/month (shipping included) to get a brand new, different, cool-designed iPhone case EVERY month! If you scratch the edges of your phone cases up because of mucho accidental dropping (looks around the room like I have no idea who does that kind of thing) or just have a short enjoyment span for any phone case in general (looks around the other side of the room), you can probably get down with this. And who doesn't like getting surprises in the mail? 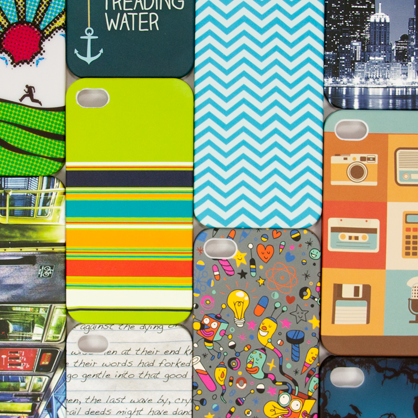 I figure if you ever don't like a case design, you have plenty of past months to choose from. No sweat! Anyway, you can check it out HERE if you're into it. Use that link and you'll get a $5 discount on your first month. Shazaam! Enjoy, and you're welcome. This is such a cool idea! Love it! More happy mail! Thanks for this posting. I am impressed to read this post.